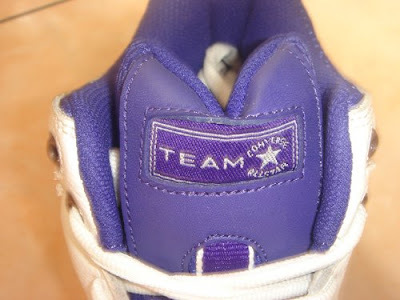 The Converse Blog: The Converse Blog's Friday Flashback: React 2 Team shoe. 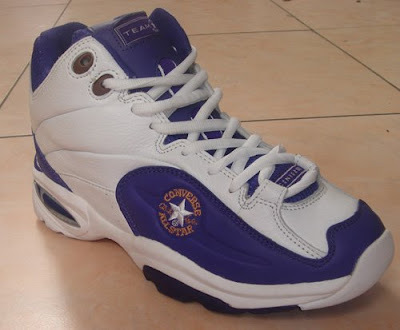 The Converse Blog's Friday Flashback: React 2 Team shoe. Today's Flashback is dedicated to React 2. This was the technology that Converse used between the original react when it sprung a leak and the full implementation of Helium. Below is a team shoe that used React 2. 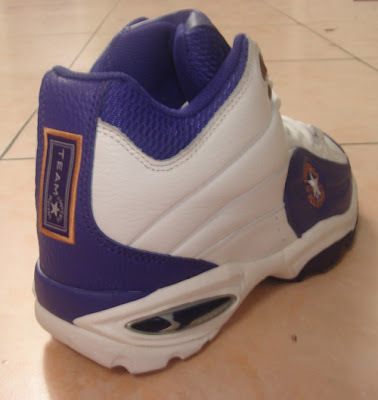 I believe that this is the first shoe that Karl Malone wore when he returned to Converse. As you can see in the heel, React 2 was an exposed gel and not a juice like gel of the original. I haven't been able to find much info on React 2, at least like I found for Energy Wave and React Juice. There are some more exciting shoes featuring React 2, including the All Star Smooth, but I decided to save them for another day. Well that's it for today, thanks for checking out the blog and remember to vote on your way out. Enjoy your weekends!